Swan Mountain Outfitters is northwest Montana’s top choice for summer wilderness pack or fishing trips as well as guided hunting trips in the Bob Marshall Wilderness. During the summer we offer: pack trips into the Bob Marshall, fly fishing on the Swan River, guided float trips, guided fishing trips in the Swan Valley, trail rides and wagon rides in the Swan Valley. During hunting season we offer: trophy mule deer hunts, trophy whitetail hunts, archery elk hunts, archery whitetail hunts, wilderness elk hunts, wilderness multi-weapon hunts, wilderness combination big game hunts, spring black bear hunts, horseback hunts, lodge hunts, mountain lion hunts, moose hunts and goat hunts. The ONLY Horseback Rides Inside Glacier National Park – Brought To You By Swan Mountain Outfitters. Glacier National Park is one of the most precious resources in the country and there is no better way to view the “Jewel of the Continent” than to see the sites while horseback riding. Swan Mountain Outfitters is a one of a kind family owned business dedicated to showing our visitors a side of Glacier National Park that few people ever get to see. Swan Mountain Wilderness Guide School offers you the latest in hunting guide school instruction, hunting techniques and hunting outfitter and adventurer training taught by a significant staff of recognized experts and professionals. We offer a 4-5 week wilderness outdoor guide school, and 10 day outfitter training and training programs for hunters and adventurers, wranglers and waterfowl guides. We invite you to really take your time and learn about why Swan Mountain Wilderness Guide School is totally unique and refreshingly different. If you are serious about attending a guide school learn how to compare and contrast hunting guide schools, and wilderness guide training programs for hunting outfitters, packers and adventurers. Find out why Swan Mountain Wilderness Guide School is an outdoor guide school for the 21st century. 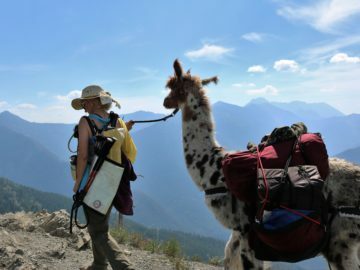 Swan Mountain Llama Trekking offers a wide spectrum of guided llama treks for novice and experienced hikers alike in the beautiful Glacier Country of Northwest Montana. 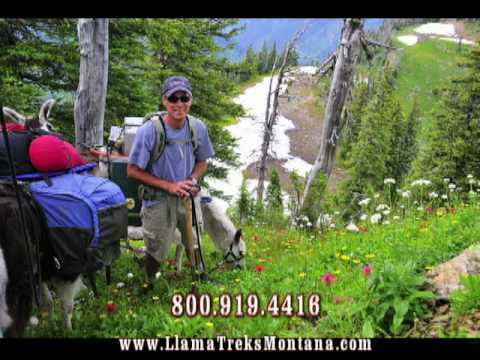 Whether you only have 2-hours or you are planning a 4-day or longer “trek of a lifetime”, Swan Mountain Llama Trekking offers vacationers to the Northwest region of Montana an opportunity to do something totally different on their vacations. Customers can select from a variety of daily llama treks, or reserve a multi-day guided llama trekking trip. There are also specialty llama treks including: wine and cheese evening llama treks, clinics on packing llamas, and yoga with a llama. We specialize in taking groups on llama treks and can customize a llama trip for your group, club or family. This is a great family activity, sure to be full of everlasting memories. Swan Mountain Snowmobiling, located in the heart of Glacier Country, provides the best in Montana snowmobiling. Whether you want to be personally taken care of on one of our guided snowmobile tours or brave the backcountry on your own with our snowmobile rentals, we have what you need for the ideal Montana snowmobiling experience! A boutique consulting firm that has specifically tapered traditional consulting services to outfitting, outdoor recreation, adventure travel and eco-tourism companies.